Superdry women's Active mesh panel vest top. Crafted from four way stretch fabric for freedom of movement, this vest top features mesh ventilation detailing and has been designed using moisture wicking technology, keeping you cool as you work up a sweat. The Active mesh panel vest top also features removable, padded cups for that little bit of extra support and comfort. 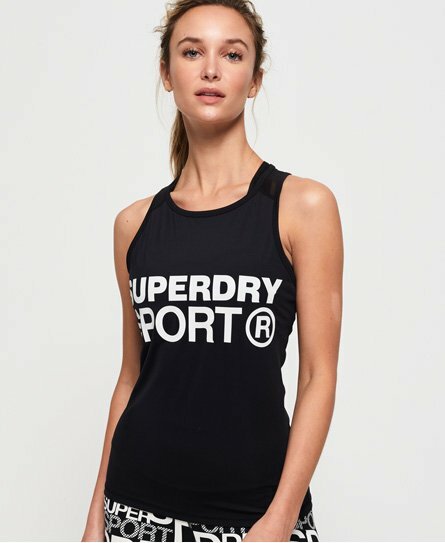 Completed with a Superdry Sport graphic across the chest, this vest top is the perfect combination of performance and style, and just the update your workout wardrobe needs.